Until a couple years ago I had never owned a pair of rain boots even as a child. It wasn't until I got my first pair of rain boots (a floral print by Joules similar to these) that I realized how much of a game changer they are. Rain boots may not be the most worn shoes in my closet but they are definitely one of the most appreciated. Now I don't think twice about keeping my feet dry while splashing around town. 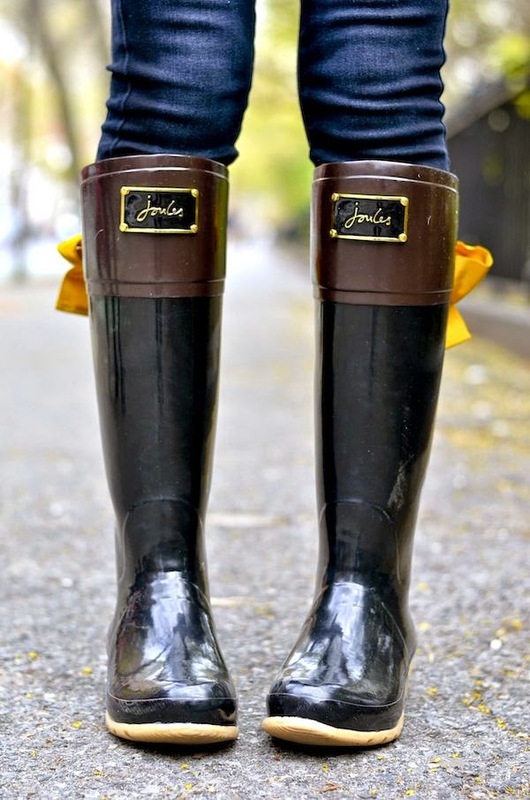 I would not survive without my rain boots-they are something that I use year round. Love the options you've selected. I own two pairs of rain boots. so so so pretty for rainboots! xO! I learned the hard way (i.e. completely 100% ruined a favorite pair of flats) that I needed rain boots ASAP. Definitely a game changer, and those first ones are so cute! i had some as a kid. as an adult, i finally gave in a couple years ago and grabbed a pair of hunters. same here, rarely used, but grateful to have them for the few rainy days i'm able to wear them.